As Brexit negotions have hit a stalemate this week, the United Kingdom's exit from the European Union has hit the headlines. While AstraZeneca have increased their stockpiles in preperation for a no-deal Brexit, the British parliament offered assurance that the UK would retain close ties with the EMA. Atopic dermatitis commonly known as eczema, has come up twice this week as both Novartis and GSK settled deals on dermatology drugs. Equally big figures have been a theme as market intelligence firm Prohibition Partners has projected the European cannabis market will be worth more than €115 billion, while J&J was ordered to pay a record $4.68 billion in damages. 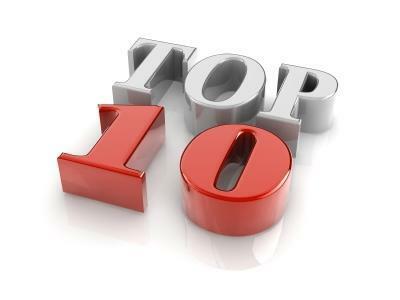 Check out the week's ten most popular articles on Pharmafile.com now! Johnson & Johnson and research arm Janssen have taken the decision to terminate a Phase 3 trial evaluating the efficacy of its SGLT2 inhibitor Invokana (canagliflozin), but not because it had proved ineffective. The European cannabis market is set to be worth €115.7 billion by 2028, according to a report released by the market intelligence firm Prohibition Partners. Astellas and Pfizer have revealed that their androgen receptor inhibitor Xtandi (enzalutamide) has received approval from the FDA to expand its label indications to include the treatment of metastatic castration-resistant prostate cancer (CRPC). A Missouri jury has ordered the New Jersey-based healthcare company Johnson and Johnson to pay $4.69 billion to 22 women who claimed that the multinational’s talc-based products had caused them to develop ovarian cancer. Novartis has agreed to buy the rights for a novel antibody MOR106 from the Belgo-Dutch pharmaceutical research company Galapagos and the German biotech company MorphoSys. The Anglo-Swedish drug giant AstraZeneca is set to increase its stockpile of drugs in both the United Kingdom and the European Union in preparation for a hard, no-deal Brexit. British company GlaxoSmithKline has announced that it will sell the rights to its experimental dermatology drug, tapinarof, to Roivant Sciences’ subsidiary Dermavent Sciences, in a deal worth up to £250 million. British MPs have voted for the UKs continued participation in the regulatory network operated by the European Medicines Agency (EMA) after Brexit.